This Ugandan Adventure: Gorilla Safari Tour was designed for a lovely retired couple from Toronto. They wanted to go gorilla trekking in Africa. Once we told them about all that Uganda has to offer—from gorillas to chimpanzees to water safaris—they were sold! They decided to start in the north of Uganda and work their way down, so that gorilla trekking would be a “wow” factor at the end. Their Ugandan Adventure: Gorilla Safari Tour began at Murchison Falls, Uganda’s largest national park. They stayed at Baker’s Lodge in a luxurious tented suite overlooking the Nile River (few people know this river actually originates in Uganda!). They had an amazing boat excursion, spotting hippos in crocodiles in the water, and went on game drives to see elephants, lions, and many more native species. 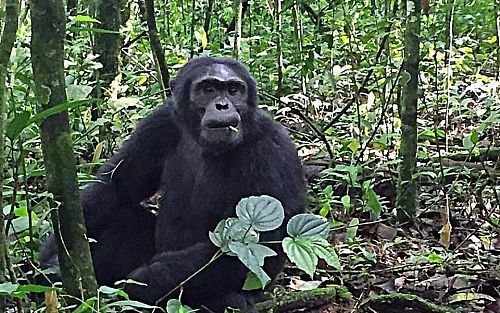 Next, it was on to Kibale National Park for chimpanzee trekking. They loved seeing these active, playful creatures swinging around in the trees! After 2 days in Kibale, they traveled south to Queen Elizabeth National Park, Uganda’s premier safari destination. They even got lucky and were able to see tree-climbing lions in the Ishasha region! Their Ugandan Adventure: Gorilla Safari Tour continued south to Bwindi Impenetrable Forest, home to Uganda’s wild mountain gorillas. With the help of expert guides, they trekked through the jungle until they found a family of gorillas. They were able to spend an hour observing the animals interacting with each other. It was truly a once-in-a-lifetime experience! Finally, they spent 2 nights at Mihingo Lodge in beautiful Lake Mburo National Park and fit in a few more adventures, like a bush walk and a horseback safari, before their journey came to an end. Then, they made their way to Entebbe to begin the journey back home. Welcome to Uganda! Upon your arrival, you’ll be transferred to your accommodations at Karibu Guesthouse. This bed and breakfast offers lovely accommodation just 3 km from Carnival City and 20 minutes from the airport. Relax in your modern, stylishly furnished rooms to prepare for your Ugandan safari adventure. Hop in a transfer this morning and begin your journey to Murchison Falls National Park, where your luxurious accommodations await at Baker’s Lodge. As you drive through Uganda’s largest national park, you’ll find elephants, buffalo, lions, and leopards, as well as a healthy population of hippos and huge crocodiles on the River Nile. Relax in your comfortable tented rooms overlooking the Nile. Immerse yourself in the amazing bushland of the area. Enjoy a half-day shared delta boat excursion to the base of the Murchison Falls, followed by afternoon and evening game drives. After breakfast, enjoy a transfer to Kibale National Park and your wonderful accommodations at nearby Kyaninga Lodge. Spend 2 fabulous nights at Kyaninga Lodge and enjoy the stunning backdrop of Lake Kyaninga and the legendary Mountains of the Moon beyond. After an early breakfast, get ready to go on an adventure like no other: chimp trekking! Kyaninga Lodge is less than an hour away from Kibale National Park, one of Africa’s premier destinations for chimpanzee tracking tours. The park contains some of the continent’s most dense and varied rainforest and is home to 13 species of primates. The star attractions are the 1,500 chimpanzees, which you’ll track and observe in the wild with the help of expert guides, but you’ll also have the opportunity to see rare red colobus and L’Hoest’s monkeys, as well as the olive baboon, grey-cheeked mangabey, blue monkeys, and bush babies. Following your trek, enjoy lunch at Tinka’s. Tinka is a prominent community leader in the Bigodi district. Receive a warm welcome into his home and enjoy a traditional Ugandan meal before returning to the lodge for a relaxing evening. Today, you will be transferred to Queen Elizabeth National Park (Q.E.N.P.) for an incredible wildlife safari. Perched up on the walls of the park, the opulent cottages of Mazike Valley Lodge offers breathtaking views of the vast Q.E.N.P., the Maramagambo Forest, and the Kazinga Channel in the horizons. At the lodge, you can opt for a game drive in Q.E.N.P., or you can take this opportunity for a water safari! Enjoy a game drive en route to the Ishasha region of Queen Elizabeth National Park, where your accommodations await you at Ishasha Wilderness Camp. Situated on the Ntungwe River, Ishasha Wilderness Camp is an idyllic retreat for people who truly enjoy the wilderness. Enjoy superb accommodation and services in this unspoiled area. 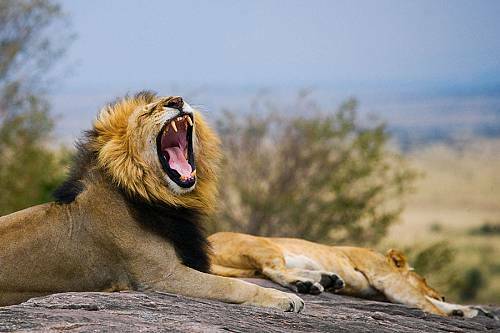 Today will be spent on exciting and adventurous game drives in Queen Elizabeth National Park. Don’t forget your camera, and keep your eyes open for the famous tree-climbing lions! Your adventure continues with a transfer to Bwindi Impenetrable Forest, where you will soon have the chance to see Uganda’s wild mountain gorillas! Spend the day discovering the area before heading to your accommodations at Mahogany Springs Safari Lodge, where you will spend 2 nights. Mahogany Springs offers privacy and serenity in a spectacular rainforest setting. It’s time for your gorilla trekking safari! Learn all about this fascinating and beautiful species as you track them in their natural habitat and, once you find a gorilla family, watch them interact with each other and observe their all-too-human behavior. This is an unbelievable experience not to be missed! After breakfast, make your way to Lake Mburo, where your luxurious accommodations await at Mihingo Lodge. Enjoy this magical setting adjacent to Lake Mburo National Park with magnificent views over a vast savannah landscape and experience the feeling of being at one with nature. 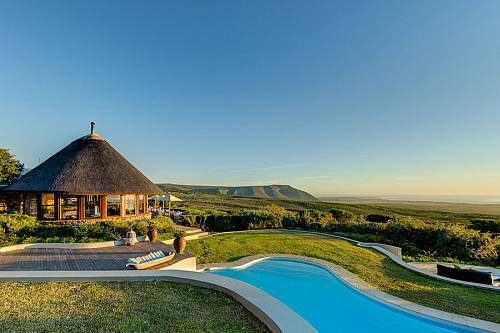 After you’ve settled in, enjoy an afternoon game drive or horseback safari. Today is the last full day of your amazing adventures in Uganda. Start your day with a guided bush walk, followed by a boat trip on beautiful Lake Mburo. Keep your eyes open for the many intriguing animals that call this area home, including water birds like finfoots and fish eagles. You’ll also see hippos, crocodiles, and other animals enjoy a dip in the lake. Your wildlife tour of Uganda comes to an end today. Enjoy a transfer back to Entebbe airport, where you’ll begin the journey back home.